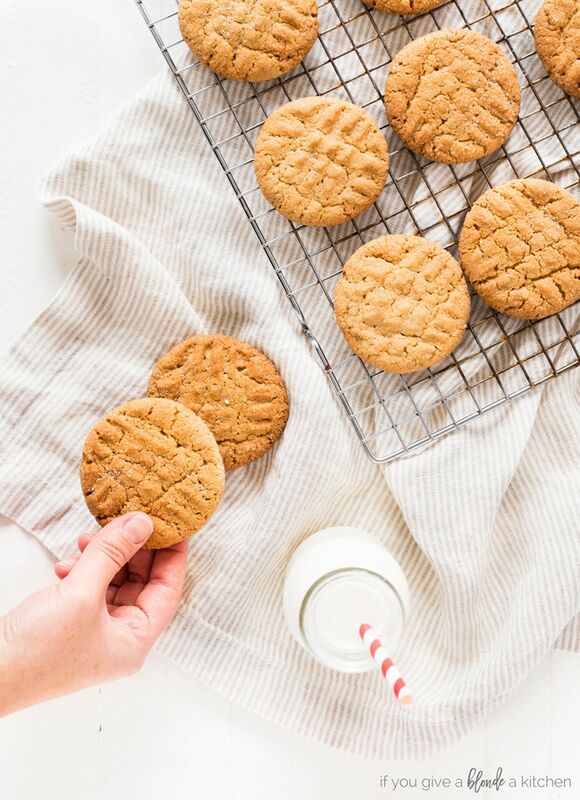 This classic peanut butter cookie recipe is easy and delicious. 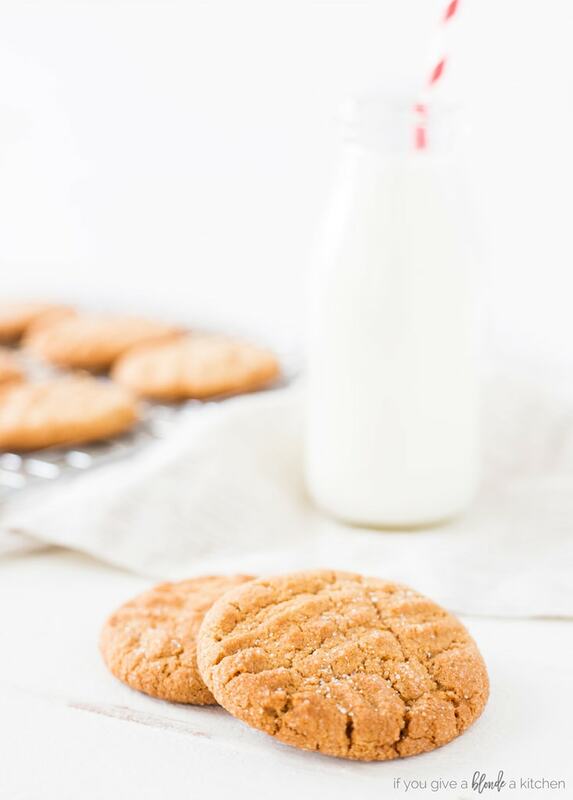 The recipe makes chewy cookies perfect for dipping in milk! I’m writing this the Monday after Thanksgiving where I’m SO ready for cookie season. 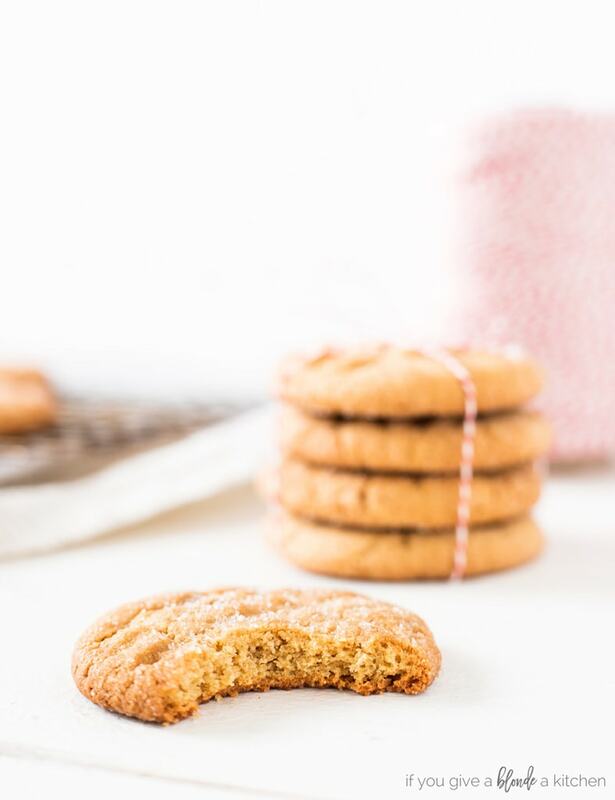 I know, it’s hard to think about food after the biggest eating day of the year, but I couldn’t wait to share this classic peanut butter cookie recipe. This is a staple in any baker’s recipe collection. 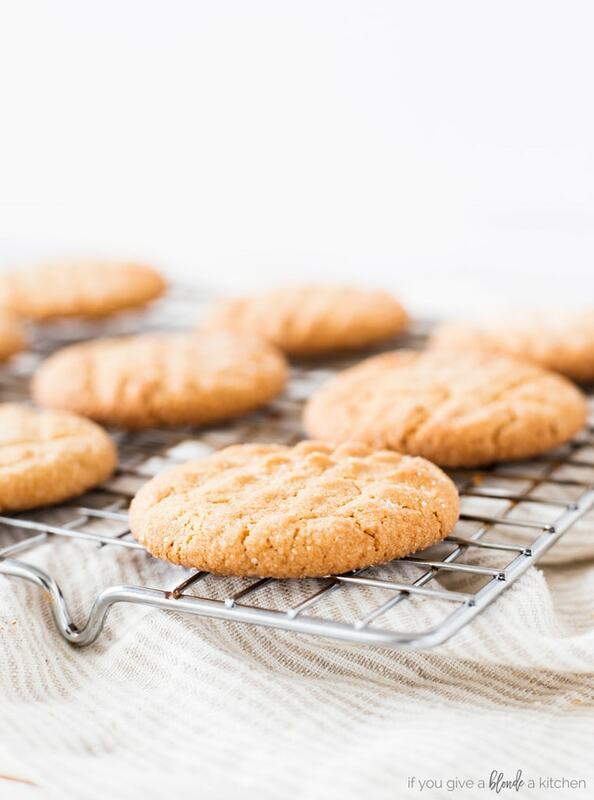 Peanut butter cookies are easy to make and a fan favorite. You know what they are by the signature fork cross hatch on top! 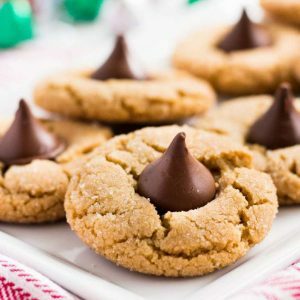 Usually when I bake peanut butter cookies around Christmas time, I lean toward peanut butter blossoms, but I was craving a simple yet flavorful cookie. This recipe calls for creamy peanut butter and unsalted butter. The combination makes an irresistible melt-in-your-mouth cookie. It also uses light brown sugar to create a chewy texture. 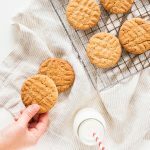 What makes this peanut butter cookie recipe “classic” is the signature criss cross imprint on top. 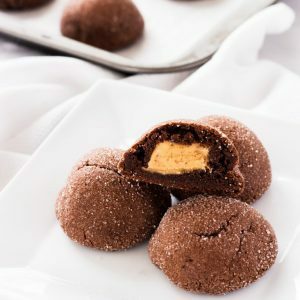 To make this design, simply roll a ball of peanut butter cookie dough in some granulated sugar, place it on a parchment-lined baking sheet and use the back of a fork to make the pattern! The sugar roll is definitely necessary. When the cookies come out of the oven all warm, they glisten with sugar crystals. It will take some self-control to wait for the cookie to cool! This recipe yields three dozen cookies, which makes it perfect for gifting or bringing to your Christmas cookie swap. Sometimes I bake a dozen cookies and then freeze the rest of the dough for another time. If you choose to freeze the dough, wrap it in plastic wrap tightly and mark it with the date. The dough stays good in the freezer for up to three months. 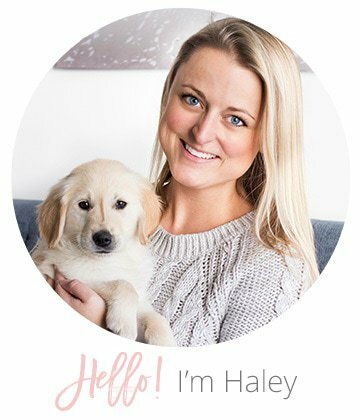 Let the dough defrost in the refrigerator before rolling into balls and baking. 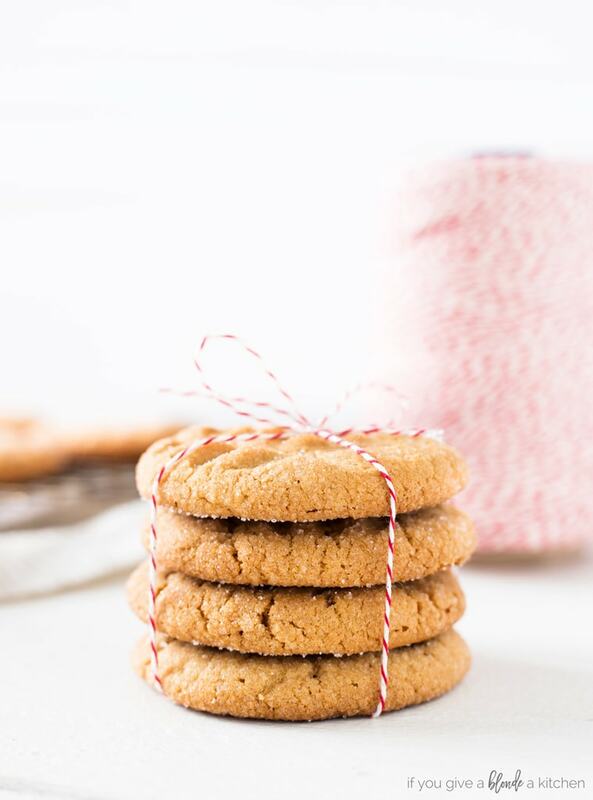 This classic peanut butter cookie recipe is perfect for kicking off the holiday baking season! Try more recipes in my 25 Days of Christmas Cookies eBook. Peanut butter cookies are a Christmas classic. Try this easy recipe with the kids or when you’re craving a peanut butter treat! In the bowl of a stand mixer (or using a hand mixer), combine brown sugar, butter and peanut butter. Beat on medium speed until well mixed scraping down the sides of the bowl if necessary. Add egg and vanilla, and continue beating until combined. With the mixer on low, slowly add flour mixture beating just until incorporated. Cover dough and chill for 30 minutes in the refrigerator. When ready to bake the cookies, preheat oven to 350° F. Line a baking sheet with parchment paper and set aside. 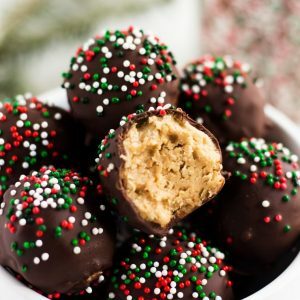 Shape chilled dough into 1 1/2-inch balls and roll in sugar. Place 2 inches apart onto prepared cookie sheets. Using a fork, flatten balls in crisscross pattern. Bake 8 to 10 minutes or until edges are set and cookies are soft. Let cookies cool on baking sheet for 5 minutes, then transfer to wire cooling rack to cool completely. For best results use creamy peanut butter. Don't use natural or chunky peanut butter. Natural peanut butter will separate and chunky peanut butter will prevent the cracks from forming in the cookies. Dough may be kept in the refrigerator for 2 days or in the freezer for up to three months. Let dough defrost in the refrigerator before baking.